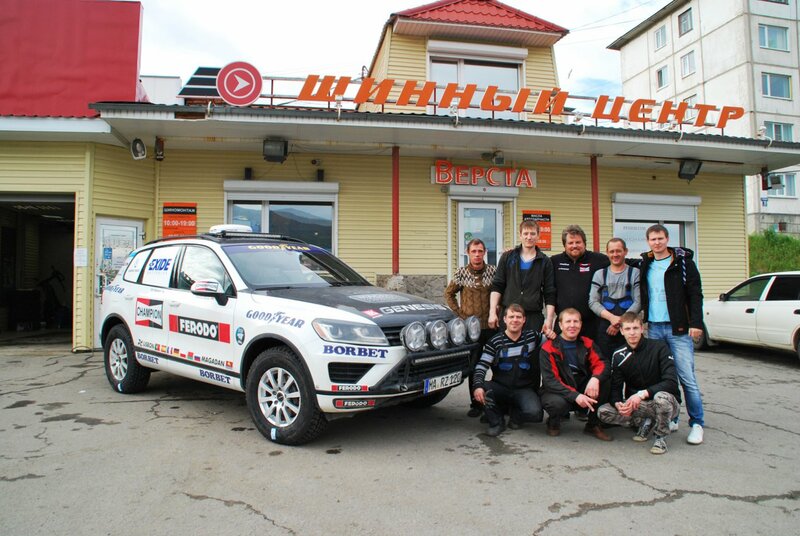 Magadan is the end of russian roads and it is a final point before our start. 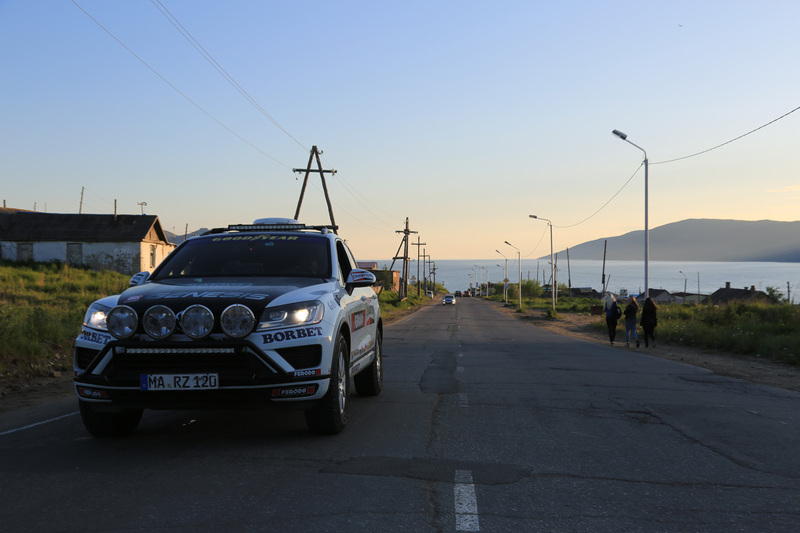 And we were very glad to see how people were interested in our car and project – on every crossroad drivers were turning heads, passangers made pictures, people talked to us and tried to help with everything just like our friend and fixer Konstantin. 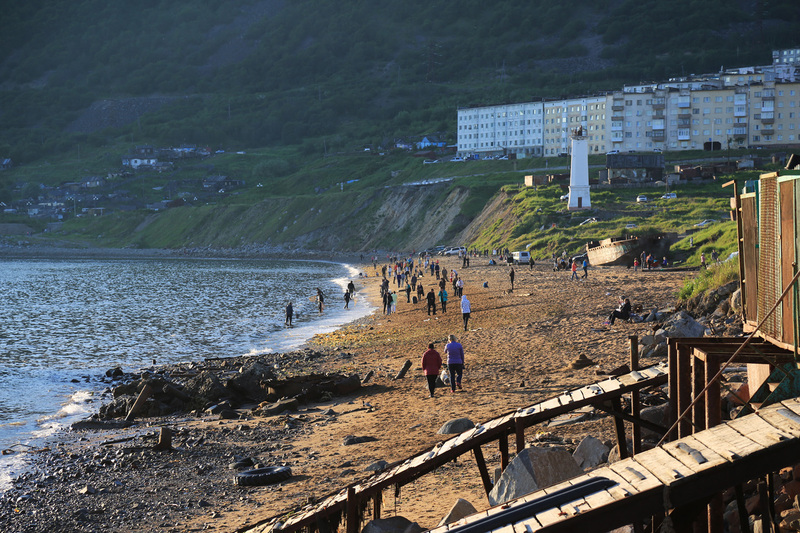 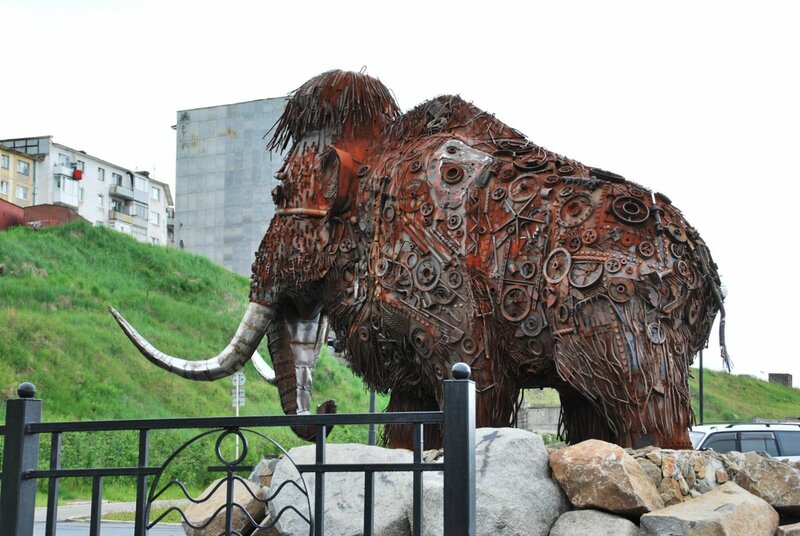 So in Magadan we stayed for 2 days, made last preparations and had a little time for relax before start. 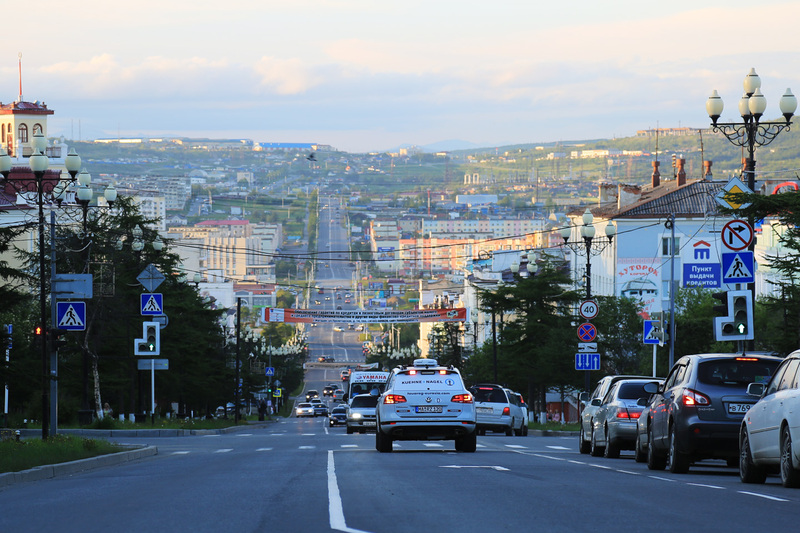 Here we met with our third driver, russian journalist Peter Bakanov, who will write the blog and make 6 articles about our tour to Auto Mail.Ru. 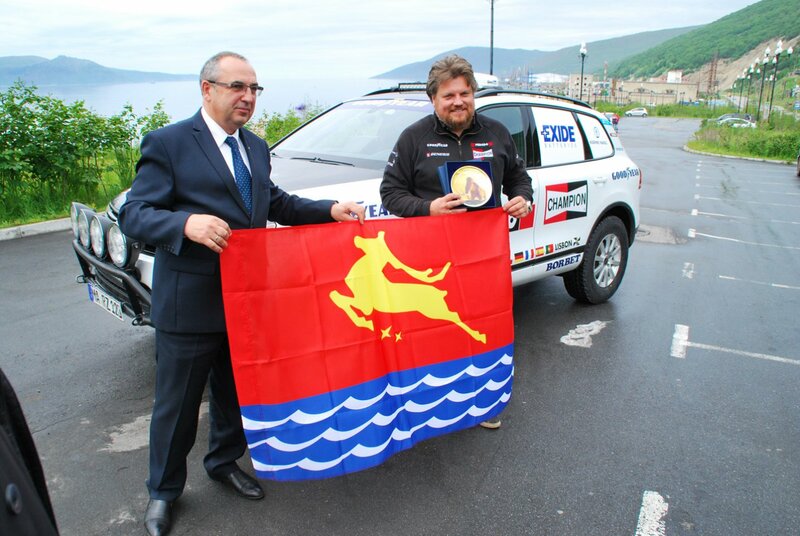 It was great, that we have an opportunity to meet with mayor, who gave us 2 presents and a flag for the mayor of Lisbon. 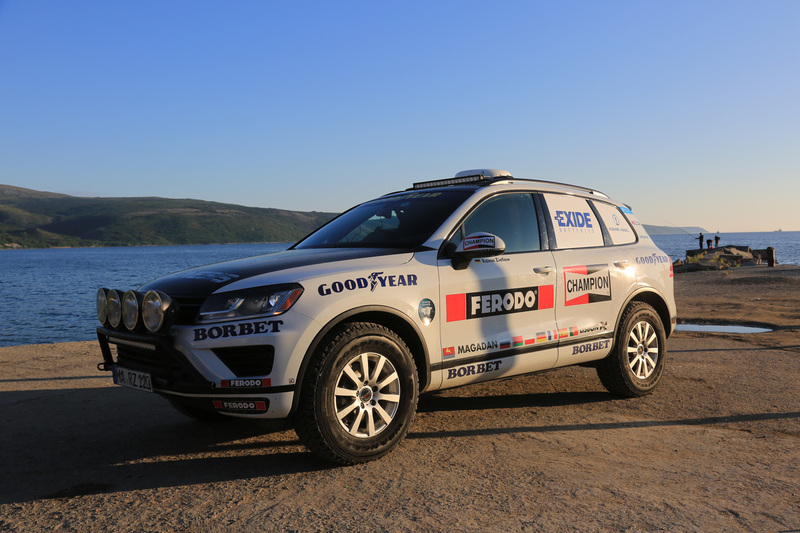 So we are looking forward to start our new World Record Drive from Lisbon to Magadan on Friday morning on 1st July at 6.00 A.M.